This previous unreleased sample version of the Air Jordan 9 Retro is now set to officially release. 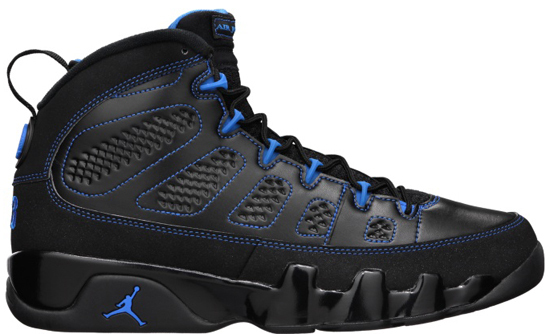 In 2012, the Air Jordan 9 Retro made its return, once again. During that time, we saw ten colorways release. One of them, was a black, white and photo blue colorway. At first, people were confused as to what version would release. Reason for that is because samples featuring both a white sole and a black sole surfaced. Ultimately in the end, the "White Bottom" version was released, as it was intended to be since the beginning. However, a few pairs of the "Black Bottom" version did make it out but, very few. At first, all signs pointed to these being a scrapped version where a few pairs were made and that was that. An unreleased sample as we goth the "Slim Jenkins" Air Jordan 9 Retro which is very similar to the "Black Bottom" sample minus the shade of blue and iconic detailing. Normally we would not see a shoe in the same colorway release twice, especially in two different versions unless it was a special edition. In this case, things have changed. Due to more of the "Black Bottom" Air Jordan 9 Retro's going into production, Jordan Brand has decided to release them rather than destroying them. 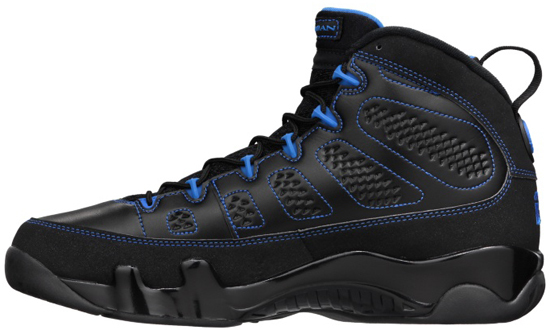 This should appease many fans as I know I am one of those people who favored the "Black Bottom" unreleased version as opposed to the "White Bottom" version of the "Photo Blue" Air Jordan 9 Retro. As a result, you can expect to see this "B-Grade" Air Jordan 9 Retro release exclusively on NikeStore.com on Thursday, May 9th, 2013. Retail is set at $130 due to them being "B-Grades" and, they will only be available in men's sizes. Remember as they are labeled "B-Grade", they come in a plain orange Nike box with a Jordan Brand box tag and a B-Grade stamp on them. However rest assured. These aren't your everyday B-Grade that features a flaw or some sort of cosmetic defect. These shoes are perfectly fine, the one difference to label them as such is the fact they feature a "Black Bottom" as opposed to the "White Bottom" as originally intended. 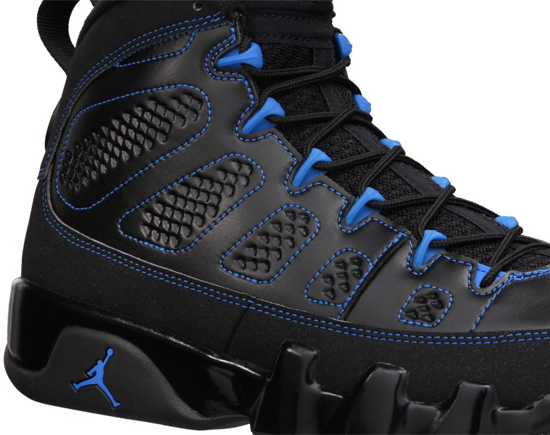 Enjoy the official images below of the "Black Bottom" Air Jordan 9 Retro in black, white and photo blue. If you plan on picking these up, be sure to follow NikeStore on Twitter for the link on release day as they will only be available through there. Those of you looking for a pair now can, click here to buy them on eBay.